Z-1000 Switch Machine Control, Panel Mounted Control. Z-1000/Lionel O22 Switch Machine Control kit – Full contents with instructions. 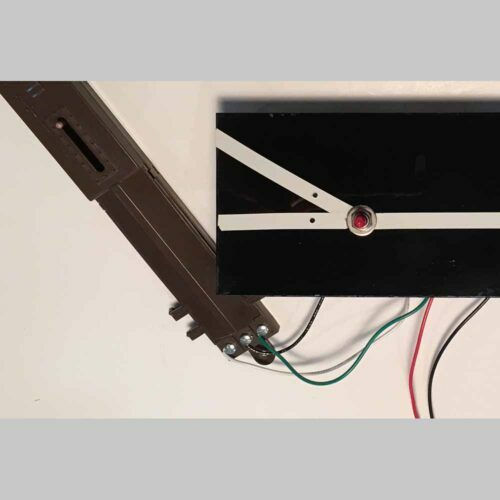 This control panel kit provides positive, reliable indication of single or multiple Z-1000 switch machines. Unlike the Z-1002, this unit is fully buffered form the Z-1000 Switch Machine. The control PCB has the ability to support an additional pair of indicator LEDs. 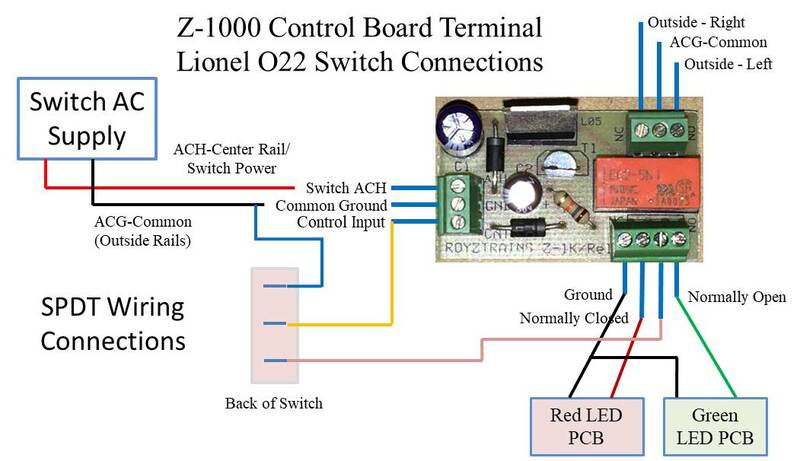 In addition, signals may also be controlled with the switch position without loading down the Z-1000 switch machine. 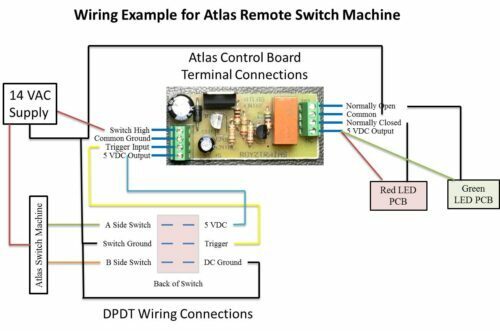 With a different mini-toggle switch the above unit can support remote operation of 3-Rail Lionel switches. Just choose this option below. Any problems? Well, it will not fix a poor operating O22, but works great with a single switch. This control unit mounts below/behind the control panel. Only three holes are needed for the two LEDs and the momentary contact switch. 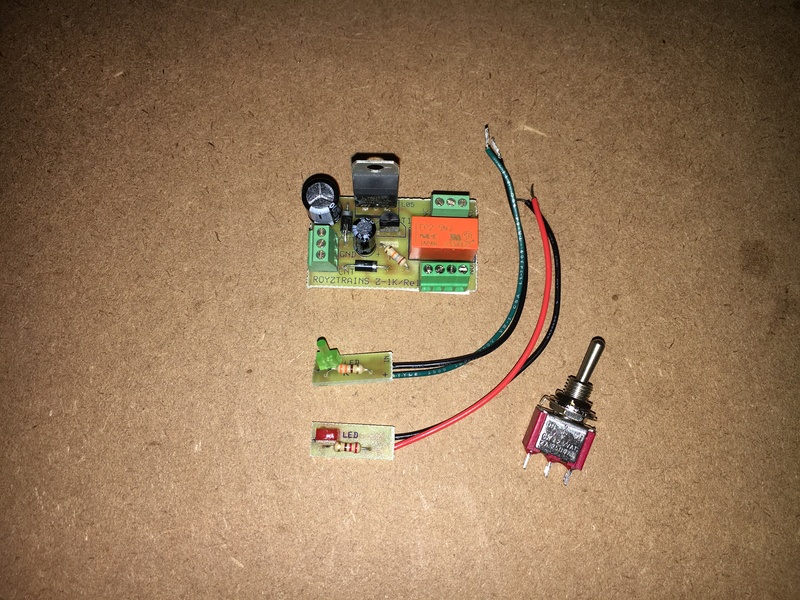 The kit includes the control board with screw terminals, miniature toggle switch and red/green LEDs mounted on PCB for ease in installation. The PCB control board mounts on the back of the control panel with double sided tape. 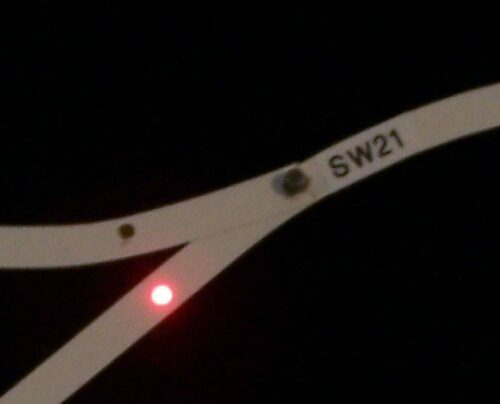 If an additional pair of LEDs will be lit, these are driven directly form the control board. All details of the installation possibilities are included in the instructions including example wiring diagrams. 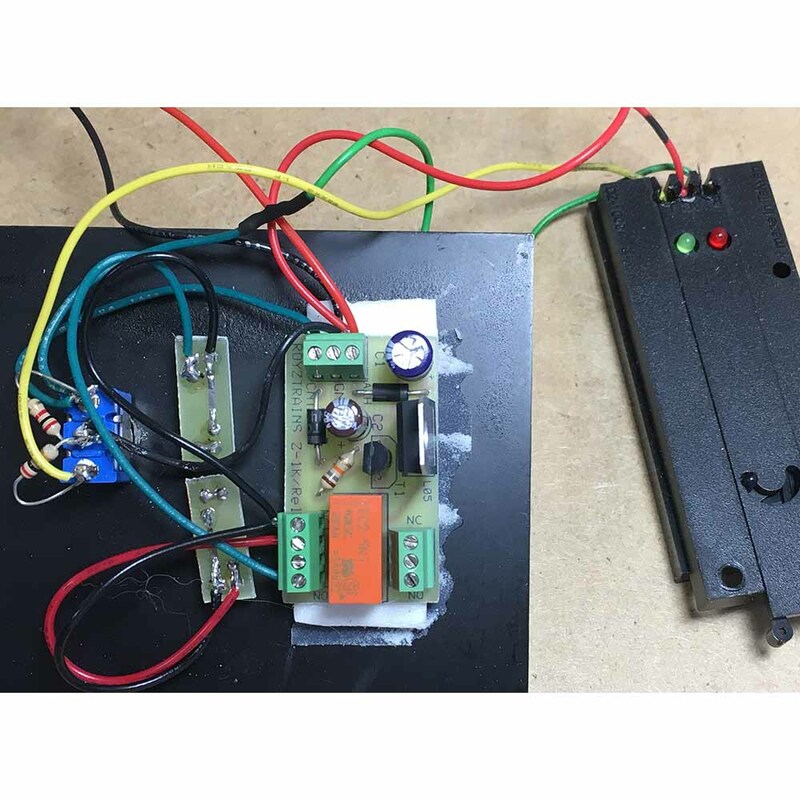 This controller kit replaces the Z-1002, but with no LED confusion, false readings, and can simultaneously operate multiple Z-1000 switch machines. This is more dependable than alternate methods due to the isolation buffer on our product! Panel mounted too! 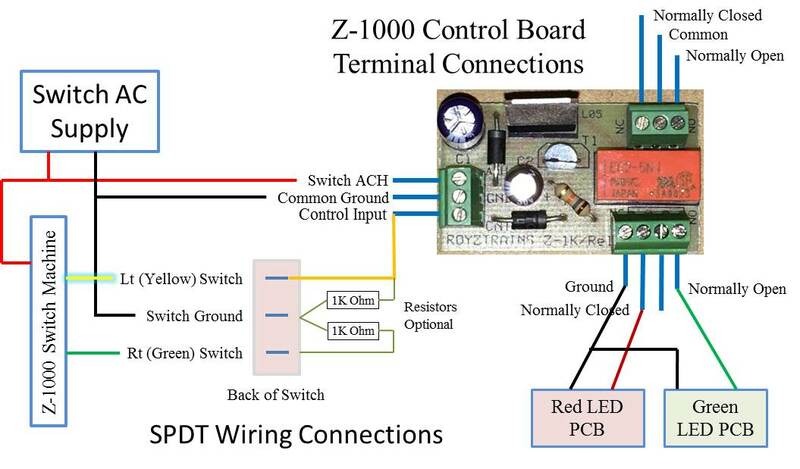 This controller has its own supply for the LEDs and only receives a very small signal from the Z-1000. This ensures the LED is on & properly indicating the switch(es) position. The toggle switch is center off with momentary positions to throw the switch machine. Nice and clean installation requires drilling three holes in the control panel. The LEDs are positioned where you want them and the toggle switch can be mounted near the switch icon on the panel. 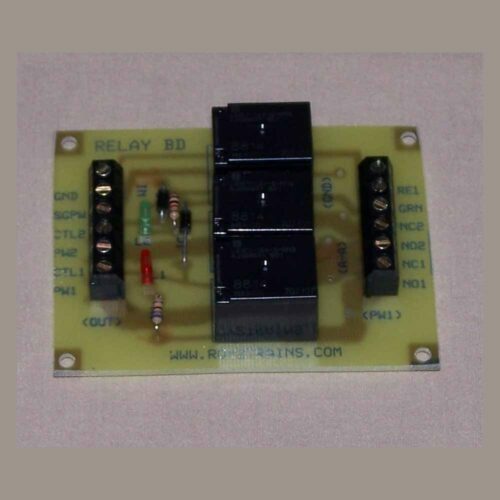 This is available with just the controller board, or as a complete kit with board, the LED PCBs and switch. The top right connector on the control board can handle up to 2 Amps AC or DC to additionally control signals or other accessories. If you find challenges on your installation, just contact us!